Don’t let the weather dictate your running schedule. If the weather is rainy or the ground wet, you can still enjoy a run with the right pair of shoes. 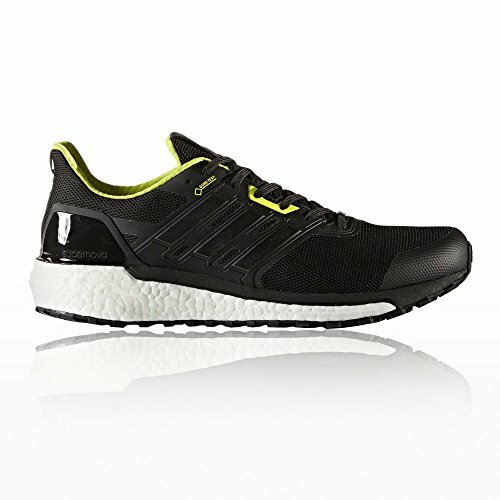 The best running shoes for rain have a waterproof upper to keep your feet dry. They should also have an outsole with plenty of traction on slick surfaces. At the same time, the shoe should be lightweight and breathable to keep your foot cool and comfortable. Just keep in mind a waterproof shoe will never be as breathable as a standard mesh running shoe. This is the sacrifice when you where a waterproof shoe. Based off the Brooks’ classic Ghost 11, the Ghost 11 GTX is just like the original but made to handle all types of weather including heavy rain and even snow. The uppers use a GORE-TEX membrane to keep out water while still allowing for plenty of breathability. Blown rubber and HPR+ rubber combine to create a durable outsole. The shoe has great traction in a variety of wet conditions. The BioMoGo DNA and new DNA Loft foam in the midsole allows for comfortable cushioning with a flexible fit. A full-length segmented Crash Pad help protect your foot when running on and off-road. Three-dimensional overlays are used to create targeted, precise support to snugly keep your feet in place. This is a great running shoe but don’t be surprised if you find plenty of other uses for it, too. Keeps your feet dry in wet grass when you need to work in the yard, walk the dog and perform other rainy day outdoor chores. For almost 10 years now, On Running has been making quality trail and running shoes designed for the toughest conditions. From their headquarters in Zurich, On Running has quickly become a premier running shoe brand with over three million customers across 50 countries. The Cloudventure Waterproof shoe is one of their most popular, and water resistant, shoes. Many running shoes are made waterproof with a standard, chemical coating, but On uses a their own coating which won’t wear away over time. Plus, the coating is much lighter and more breathable than the chemical variety. 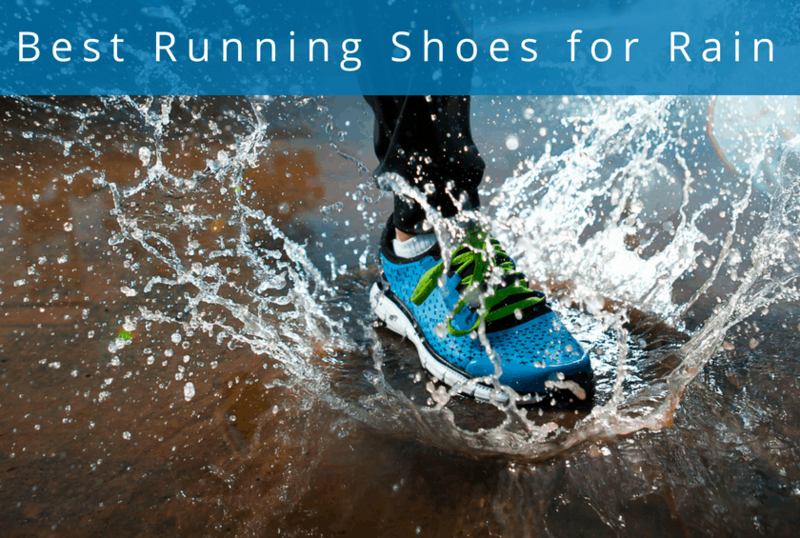 Of course, water resistance is only one part of an effective running shoe. The grippy, rubber outersole provides good traction across almost any type of terrain even when running on wet, uneven surfaces. CloudTec cushioning has 11 individual pods helps protect the sole of the foot during downhill running. From heel to toe and everywhere in-between, the Cloudventure is designed for running. When trail running, rubber and engineered-mesh toe caps help protect your toes from rocks, roots and other potential hazards. The Terrex Agravic GTX is one of ADIDAS’s most popular shoes for technical trails and long runs. This trail shoe uses Continental Rubber bike tire for the outsole tread. The outersole is durable, lightweight and has plenty of grip. The upper stays free from scuffs and tears thanks to the tough overlays that give the shoe its structure. The shoe is primarily designed for running in rough and slippery conditions including mountains and other rocky surfaces. 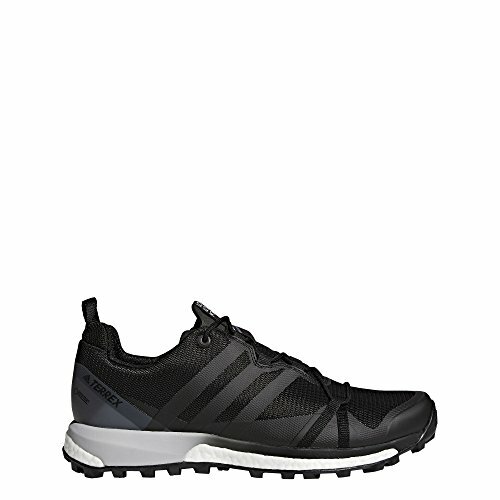 They’ll also work well for light activities but they’re not the best choice for road running. 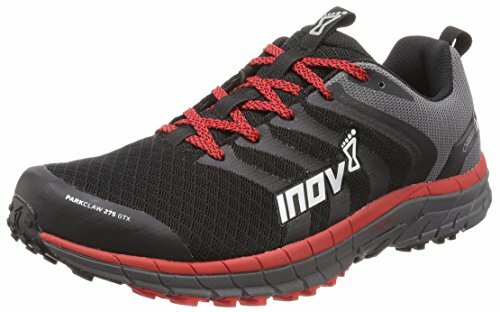 But if you like to run on trails and other outdoor terrain, these shoes have a great combination of flexibility and durability. The Wave Rider 21 GTX from Mizuno is designed for road runners who want to continue their runs in the rain. 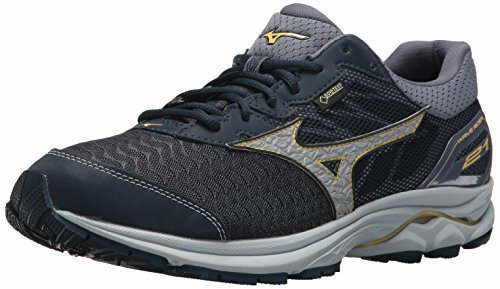 Using redesigned Mizuno Wave Technology, the shoe has softer cushioning than previous models. You’ll still notice the great flexibility and lightweight design. These road shoes have a GORE-TEX upper which provides all-weather protection without added weight. Shoes have 360-degree reflectivity. A rubber sole provides grip in wet conditions. The Waver Rider GTX is a snappy, responsive shoe. It’s not the most cushioned shoe available, but it’s lightweight and provides enough protection for long runs. This is a good option if you want a waterproof road shoe that provides a fast ride. A significant step up from the Inov 8 Parkclaw 275, the GTX grips even the toughest and slickest terrain. Ideal for running on rugged, technical trails. The 275 GTX is a great choice for runners looking to transition from road to trail running. The shoe features a GORE-TEX membrane to keep feet dry. GORE Invisible Fit Technology allows the membrane to protect the entire shoe without adding unnecessary weight. Outersole is made from a lightweight and durable synthetic mesh. It dries quickly and doesn’t retain water. Versatility is a strong suit with these shoes. They provide cushion and support on both flat and uneven surfaces. 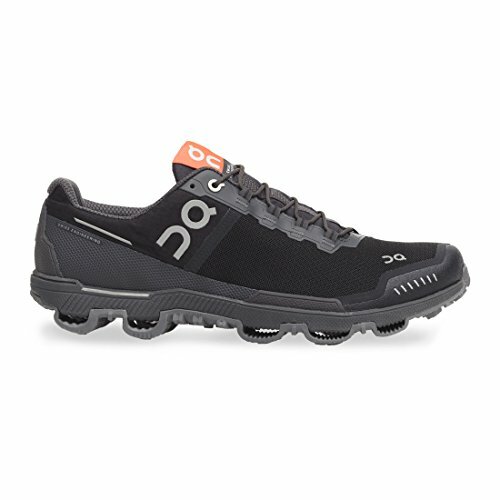 Great for runners who don’t run a set route and want to be able to handle whatever unknown terrain might pop up. Don’t let wet running surfaces slow you down. 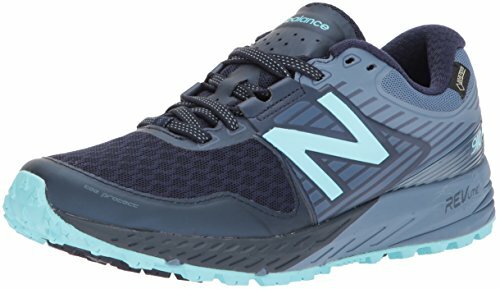 The 910v4 GORE-TEX from New Balance uses RevLite foam to create a light, flexible shoe. No-sew material application helps keep the shoe free from tears. GORE-TEX inner liners keep your feet and socks dry even in mud and snow. This shoe is designed for maximum water resistance. New Balance has a long history of creating high-quality running shoes. Their 910v4 model is their newest and most sophisticated shoe for outdoor trail running. If you’re already a fan of New Balance, the 910v4 can be a welcome step up. 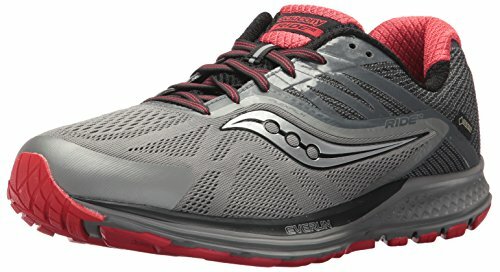 The tenth time is the charm with the Saucony Ride 10 GTX. This is the tenth version of the Ride line. An updated TRI-FLEX outsole protects your foot, including the toe, from the shock of running on hard and uneven surfaces. The shoe has neutral cushioning which provides targeted support to your entire foot. Additional EVERUN topsole technology provides a thin but powerful layer of cushion to the top of the foot. Invisible fit GORE-TEX keeps the inside of the shoe waterproof and the outside quick-drying. Another quality offering from adidas, the Supernova GTX is designed for tough technical trails. The upper portion of the shoe is shielded by GORE-TEX to keep out water. Run through puddles or run in pouring rain – your feet will still stay dry. The outsole rubber provides plenty of traction on slippery roads, trails and other common types of running terrain. However, the rubber outsole of the Supernova GTX also provides superb traction on dry surfaces. The underfoot platform adjusts the cushion against the foot based on the specifics of the terrain. The synthetic mesh construction keeps water out while also letting your foot breathe. Great for long runs in humid and rainy conditions. By drawing moisture away from your foot, these shoes help prevent long-term foot problems such as rashes and skin irritation.